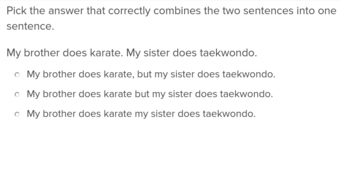 Teach your students about the many different ways they can use commas, whether in compound sentences, in a series, in letters and greetings, or in a variety of other ways, with these comma exercises. In Use comma to indicate direct address exercises, students can even learn how to use commas to directly address a friend or relative in a letter, without making a passage confusing. Help inject personality into your students' written work with this exercise that helps them understand introductory phrases and how to incorporate them into their own writing correctly. 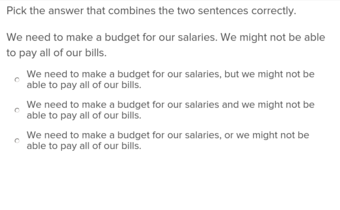 Teach your students the difference between closers and multi-clause sentences with these exercises that have them practise their placement of punctuation marks in both cases. Commas don't get enough credit for all they do -- they don't just signal pauses in sentences. They can break up lists, show transitions, split up clauses, and so much more. If your child is having trouble mastering all the ways commas can come into play in writing, they're not alone! 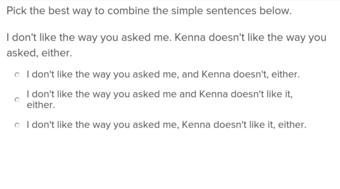 We have comma exercises to help anyone with any comma question they might have. 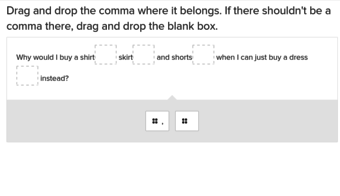 Written and developed by education experts, our comma exercises come in many forms: write-in, drag and drop, multiple choice and lots more. They also cover several ways to use them, such as in lists, after introductions, and even in addresses and letter writing. Once they're done with commas, they can focus on a similar piece of punctuation -- the Apostrophe. 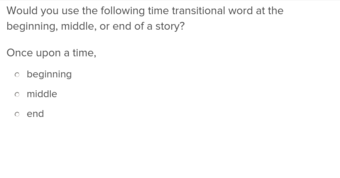 Here at Education.com, we have language arts and writing handled. Once your child tried a few of these, reading and writing smarts are right around the corner.